SAIC Motor Corp Ltd, a Shanghai-based domestic leader in whole-vehicle exports and overseas sales, achieved annual sales exceeding 10,000 units in six foreign markets last year, and will continue to expect strong performance overseas, a senior executive said. Thailand, the United Kingdom, Indonesia, Chile, Australia and New Zealand and the Middle East have formed the largest markets for SAIC Motor, China's largest original equipment manufacturer in the automobile sector, which also ranked the seventh in the automotive section among Fortune 500 companies last year, according to Lei Ming, deputy managing director of SAIC Motor international business. Its global blueprint has been an edge for SAIC Motor, which has established whole-vehicle manufacturing bases in Thailand, India and Indonesia, and 11 regional marketing service centers in Europe, North America, South America, Africa, the Middle East, Australia and New Zealand, as well as a network of nearly 500 overseas marketing service outlets, Lei said. 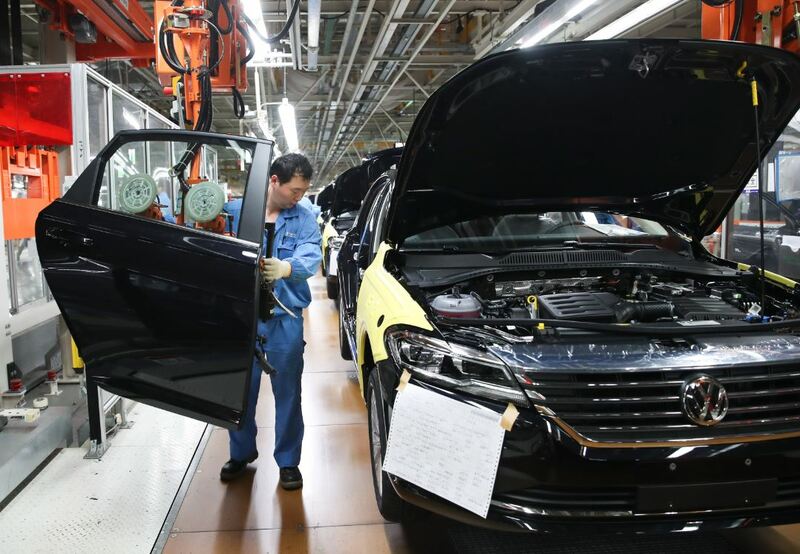 "Last year, the number of vehicles from SAIC Motor sold overseas achieved a year-on-year increase of more than 62 percent, a national first in whole-vehicle exports for three years in succession," Lei said. Some of the company's self-owned brands have joined mainstream brand lists across different categories, including internet cars, Lei said. For example, MG ZS, the first internet car model that the company introduced overseas, won the favor of young consumers in countries such as Thailand and has become one of the top performers in the category in the local market. "In November 2017, we released the first Thai language-enabled smart car of this model with a smart connectivity system in the local market and it was very popular," said Lei, adding that the company planned to introduce more localized models in other markets. Zuo Chen, marketing director of MG's sales branch in Thailand, said that the brand's market share in the country's passenger vehicle field reached nearly 5 percent last year. The rapid development of the Thai market derives from SAIC Motor's technical strength, including a leading strength in the internet vehicle area, and its insight into local consumers, he said. "Thai people tend to be more rational about choosing a car than Chinese. They focus more on such factors as after-sales service and the density of the car dealer network," Zuo said. Luo Mingzhi, executive director of product planning at SAIC Motor international business, said that MG's first pure electric SUV for the global market will be introduced in countries including the UK and Thailand this year. "Fast charging capability will help charge the vehicle to 80 percent in 40 minutes." Carolina Rojas, a journalist from Chile, said that many people in her country have a high recognition of SAIC Motor brands. "MG3 is the most often seen car model among SAIC Motor's brands in the streets. It's particularly popular among young people as they believe it's economical in fuel consumption, safe, and consumers can select colors for the car roof and body from an array of choices and have their own combinations," said Rojas.